It’s been a difficult period for Manchester United since Sir Alex Ferguson’s retirement as Premier League champion in 2013. They’re now on their third manager in four years and finished fifth in the league last season, missing out on Champions League qualification. Despite these uncertain times, Zlatan Ibrahimovic still demonstrated his unparalleled generosity by signing with the club on a free transfer last summer. At 35 years old, Zlatan only has precious few years left as a footballer. Still at the top of his game, he could’ve gone anywhere he desired to enjoy his remaining years and carry on his pursuit of an elusive Champions League title after stockpiling trophies and scoring a career high 50 goals with PSG last season. And yet, he chose to forego his Champions League dream and look past his dim view of English football to try and resurrect Man United in their time of despair. Zlatan’s efforts in this charitable pursuit have been tireless. Though Man United are still just sixth in the Premier League (one man can only do so much—even if that one man is Zlatan), Zlatan leads the team with 26 goals while already racking up a team high 38 appearances (again, he’s 35). 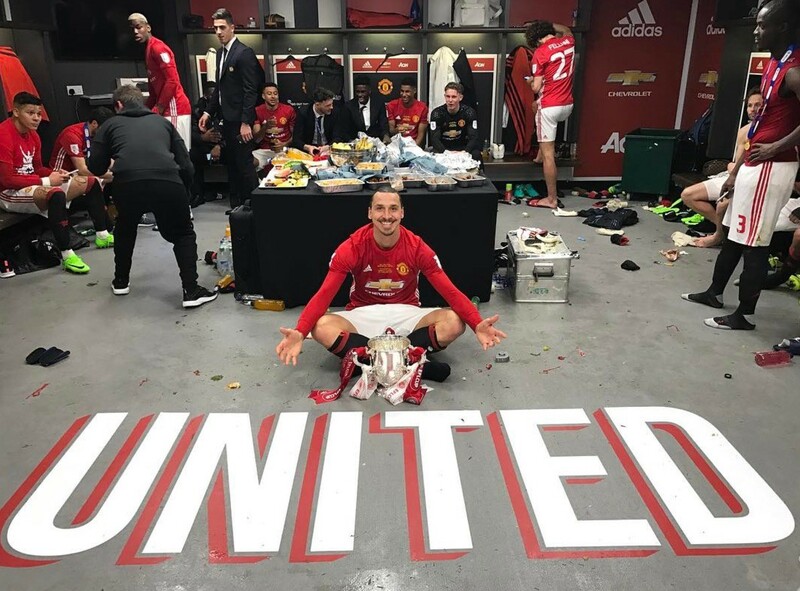 Two of those goals came in the EFL Cup final, where Zlatan squashed a valiant two-goal comeback from Southampton to win 3–2, giving the League Cup to Man United for the first time in seven years despite his teammates’ inability to properly support him. After the match, Zlatan reminded Paul Pogba and the rest of the world that he joined the beleaguered club on a free transfer. So that his gift to the club would not go unnoticed. Paul Pogba "That's why we bought him"
Zlatan "Bought me? I came for free. They bought you"
“I think, honestly, he won the game for us. While there are many footballers who donate both their time and portions of their considerable wealth to many noble causes around the world, Zlatan has taken on the most difficult act of selflessness of all: overcoming the past embarrassments of David Moyes and Louis van Gaal, and the continually awkward presence of the likes of Wayne Rooney and Marouane Fellaini to restore one of the planet’s richest football clubs to their former glory. And his supreme altruism is already bearing fruit that he so honorably shares with those who would only toil in misery without him.